The middle of a story seems like it could be intuitive. It’s the “and then, and then, and then” part of the story where you tell your audience about the series of events that leads you hero from the beginning, through the turning point, and on to the climax of the story. Now, if you spend any time with young elementary school-aged kids, you know that they can stay stuck the “and then” stage for a long time. It doesn’t make for great listening. In fact, it can leave you feeling stuck watching other people’s luggage go by at the airport, forever. As the mother of two kids, only one of which has emerged from the stage of endless events of narrative development, I feel quite confident about this comparison. As a story creator, your responsibility is to make sure that your story keeps moving in the middle. That means both moving forward in action and increasing the emotional tension as the story progresses. Working together, these rhythms will keep your story interesting and your audience engaged. How do you keep a series of events interesting? There are a few things to keep in mind. One is that every scene or incident should matters. Just because you’re in the middle of a story, you don’t get a license to go off on a tangent and bring up something that isn’t crucial to the story. On the contrary, every scene and character in a story should move the story forward. There are lots of ways to understand moving a story forward. Your hero can learn a new skill or meet someone who will play an important role later. They might have an interaction or make a choice that reveals something about their character. Your job is to make sure that something happens in every part of the story and that your audience isn’t left with any loose ends. Every character and every scene must matter. In simple terms, if a character walks into a party and you mention that their ex is at the party, the character and their ex must interact during the party. If you’re talking about research findings, don’t mention something interesting you found along the way to your results because you thought it was interesting. If your little tidbit doesn’t have anything to do with the results or analysis or discussion of your findings, then leave it out. We see this happen in my favorite example, the film Harry Potter and the Sorcerer’s Stone. When Harry first goes to Diagon Alley with Hagrid, they go to Gringotts. It’s a bank and they are there to make a withdrawal so Harry can buy his school supplies. While they’re there, Hagrid not-so-subtly also picks up something for Dumbledore. Because we’re trained to understand story, the viewer stores this fact and waits for it to come back. Sure enough, later on, Harry reads in the newspaper that Gringotts has been broken into and the vault that’s was the target is the same one Harry visited with Hagrid. That means Harry (and now Ron) know that whatever Hagrid took out of the vault is at Hogwarts and someone might come to get it. That makes any future strange doings at Hogwarts particularly interesting to Harry and Ron because they know that something’s going on. If we look at this sequence of events, we see another lesson that’s important for the center of your story. The hero gets into a series of situations that are then resolved positively (a success) or negatively (a failure) but that usually leads to a second problem. Situations create problems that need more solutions. In traditional storytelling, this is a series of conflicts and resolutions. Stories become more interesting when the resolution or solution doesn’t happen or doesn’t happen the way the audience expects it. Instead, one problem rolls into the other, increasing the tension or emotion until the audience is fully caught up in the story. The mountain troll sequence in Harry Potter illustrates this well. It starts long before when Hermione overhears Ron making a comment about her as they walk to the Great Hall. Hermione storms off. A situation (Ron talking to Harry) has created a problem (Hermione storms off). During dinner, Professor Quirrell enters the hall and announces that there’s a troll and the kids are all sent back to their houses. On the way back, Harry and Ron realize Hermione still hasn’t returned from hiding out in the girls’ bathroom. Another situation (going to houses because of the troll) as created a problem (Hermione is nowhere to be found). The boys go to the bathroom, find Hermione, and she’s being attacked by a troll. Another situation. They defeat the troll only to get in trouble with Professor McGonagall (problem). And so, the story goes on from one situation and problem to the next until Harry finds himself facing Voldemort again. The end of the story only comes when the problems are all solved. With each problem, the danger to the hero increases. The danger doesn’t have to be physical (fighting the mountain troll) it can also be emotional (the loss of parents) or psychic (feeling alone). As the depth of these problems is revealed or increased during the story, the audience gets more and more emotionally invested. This doesn’t mean that the story is always only problems or losses in the middle. On the contrary. In the middle of the story, the hero will experience both wins and losses. The path to the top of the mountain is never an easy one! 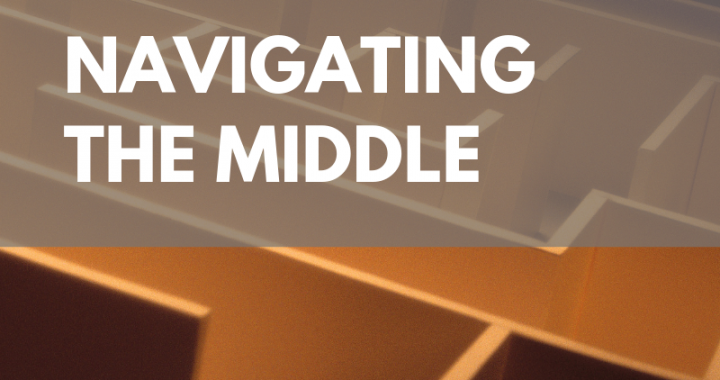 The beginning of the middle is often about learning and making. Later in the middle section, the hero will use the things they’ve learned, call up on friendships formed, and hopefully defeat the enemies discovered along the way. It’s worst when they’ve almost won. Just when the hero is about to win, they usually have a major set-back. This is a life or happiness threatening moment that throws the happy ending of the story into question. The hero seems to need a miracle to bring things right again. But the miracle arrives and we move on to the climax of the story! But we’ll save that for next week! Posted in Story Structure and tagged structure, writing.